Newly released from the notorious asylum known as Bedlam, Lady Lydia Farrell finds herself in an equally terrifying position–as a murder suspect–when she stumbles upon the mutilated body of Sir Montagu Malthus in his study at Boughton Hall. 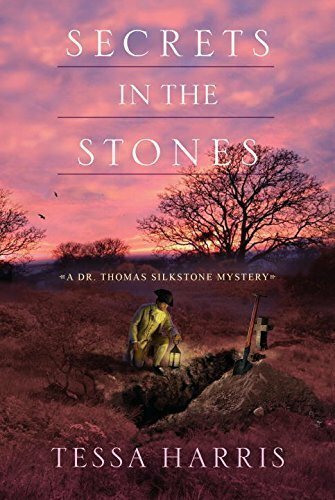 Meanwhile Dr. Thomas Silkstone has been injured in a duel with a man who may or may not have committed the grisly deed of which Lydia is accused. Despite his injury, Thomas hopes to clear his beloved’s good name by conducting a postmortem on the victim. With a bit of detective work, he learns that Montagu’s throat was slit by no ordinary blade, but a ceremonial Sikh dagger from India–a clue that may be connected to the fabled lost mines of Golconda.